Let’s get one thing straight. I don’t like summer, and summer doesn’t like me. I am a winter girl through and through and the thought of baring all in the London sun, riding a packed 9.11 to Waterloo while my makeup drips off my face is not something I get excited about. Sure there are perks to Summer in England.. trips to Brighton, eating copious amounts of ice cream to ‘cool down’ and my neighbours endless BBQ’s (which I am always invited to). 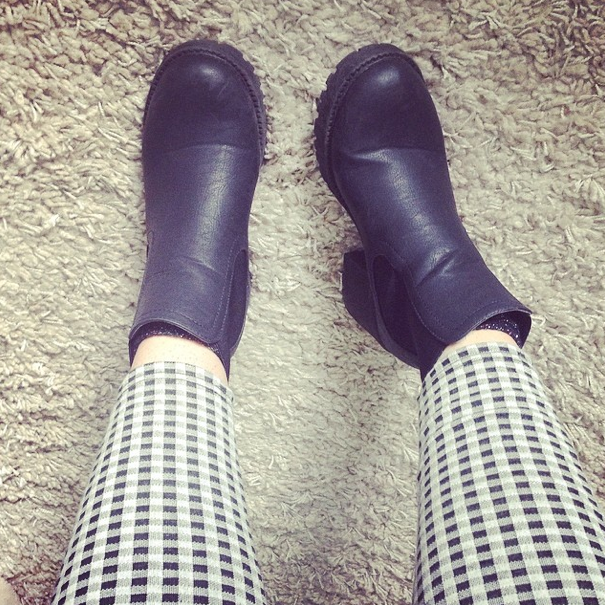 But when it comes to fashion I would much rather be in a cosy coat, leggings and Chelsea boots. My aversion to summer doesn’t stop me buying summer clothes though. Oh no no. Any excuse to spend £140 in Primark – yes this happened recently, and this year I have discovered my kimono obsession, (of which I now own six) but mostly the passion I have for summer shoes. I own shoes I have never worn as they are works of art in my eyes but too painful to wear. I own shoes that I have physically scarred my feet due to wearing them for fashion over practicality. I own shoes that I have insisted on buying even though I have them in another colour/slightly different style/bigger heel/one stud less… you get the idea. But I think why I love shoes so much is because your feet are consistent. They don’t gain or lose weight (unless you’re a pregnant Kim K) so you can pretty much pick up a shoe in your size and they will fit. Also if you’re addicted to black clothing like me then a beut pair of shoes can tie a whole outfit together and bring some excitement to a goth-like ensemble. Now I can’t think of anything more vom-inducing than a pair of flip flops (I still don’t understand how people find them comfortable), so while trailing the internet for alternatives, this summer I have been most impressed with ASOS for sandals. A theme I found running through the sandal section was monochrome. I’ll take white as a colour, if it means I can wear it with black, so off I went to chose some foot fun. Here’s some that caught my eye…and what I eventually purchased. There are also some fab summer shoes from LaModa, as beautiful as they are they are not for the faint hearted. 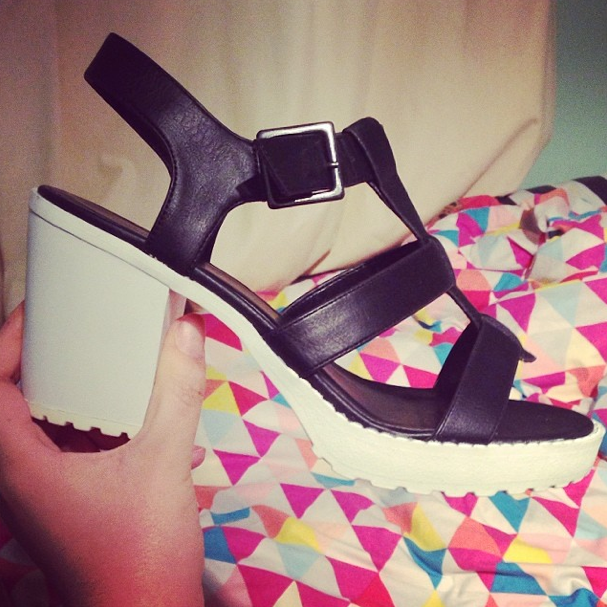 And if you fall over and break your ankle while wearing them then at least you’ll look fabulous on the way down.